Growing up in Tucson, Arizona, Scott's sister learned to juggle from 'Juggling for the Complete Klutz' and taught Scott when he was about 7 years old (1978). It was mostly a hobby but they performed for Purim carnivals and he did occasional gigs for his elementary school. 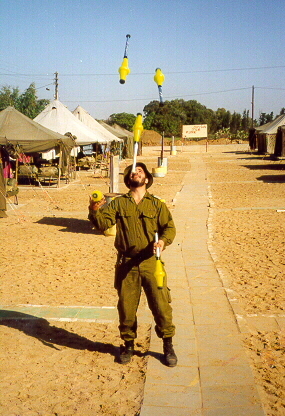 In 1992 Scott moved to Israel where he got serious about juggling and in the summer of 1993 he street performed nightly on Ben Yehuda Street. Scott really honed his skills performing a torch juggling routine with some comedy while collecting shekels in a hat. With that experience, some friends recommended him to the Cardo Culinarium restaurant, a Roman theme restaurant in the Old City of Jerusalem, where he worked for 6 years performing about 200 shows/year in his toga. He has also entertained at trade shows (in Israel and abroad), weddings, bar mitzvahs, birthdays, Purim, community events, etc. Aside from performing, Scott is known internationally as a top juggler technically. He is recognized on an exclusive list of jugglers working with 9 balls. 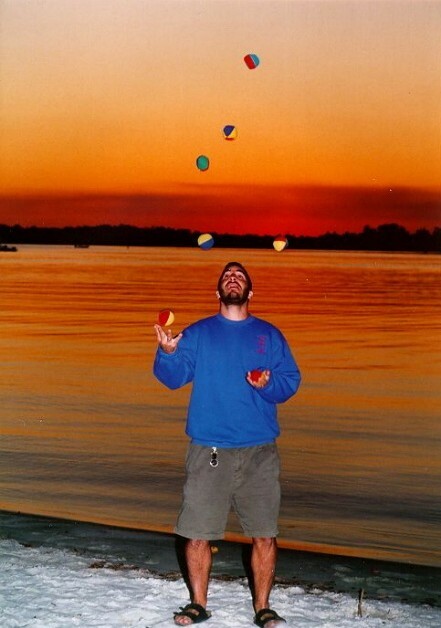 Even with lower numbers, Scott's original juggling style with 3 balls has won him juggling competitions and he's also known for his prowess with 5 balls. 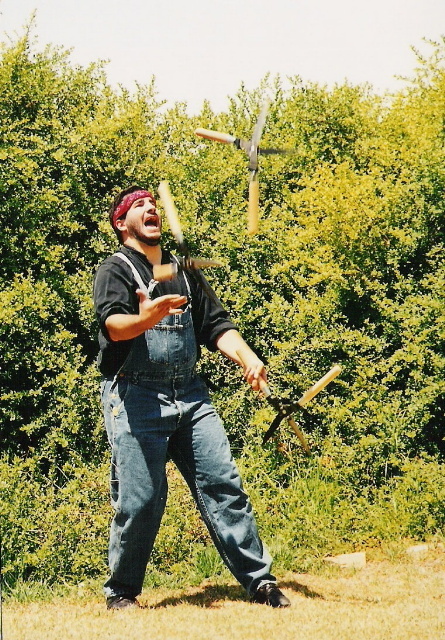 Scott has attended juggling conventions on 3 different continents and taught workshops to jugglers of all levels. 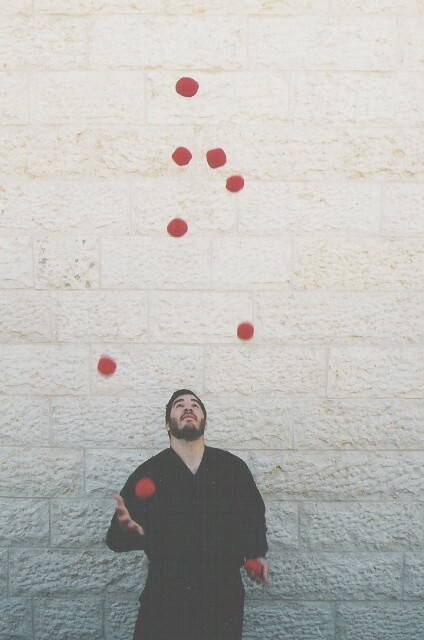 Scott has been very active in the juggling scene in Israel, including being a leader at the Jerusalem Jugglers juggling club and also organizing juggling conventions in Israel. Scott is very active on the Internet juggling communities. He's involved in content management for the two of the biggest juggling websites: 'Juggling Record Database' and the 'Internet Juggling Database' of which he is a founder. Scott also Created the Jewish Jugglers home page. He's one of the most frequent contributors to rec.juggling, the main juggling list server. Scott has been a member of the International Jugglers' Association since 1994 and actively involved in volunteering to help the organization. Scott is a member of the Juggling Information Service Committee on Numbers, the most authoritative group validating world records in juggling. Scott is fascinated with juggling history and possess large library of books, magazines, and videos on juggling and related arts. Scott lives on a moshav near Bet Shemesh (about halfway between Jerusalem and Tel Aviv) and has 2 perfect daughters: Rahel Oriyah and Bat-El.